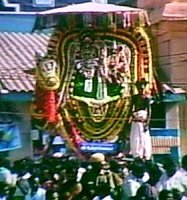 Mahaamaham festival, (The Kumbamela of the South) is celebrated in Kumbakonam once in 12 years, when Guru Bhagavan is in Simha Raasi, when Pournami or full day in the Tamil month of Maasi coincide with Maha natchathiram (star). 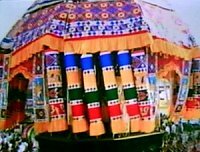 To mark the beginning of the ceremonies, flasgs were hoisted in the Siva temples on 25 March 2004 & Vishnu temples on 26 March 2004. 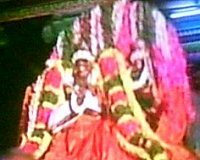 Poojas were performed to the Nava Kannigais in the Kaasi Viswanathar temple. 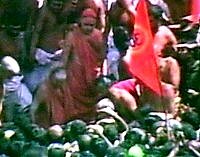 Sri Jayendra Swamigal along with the heads of the Dharmapuram Aadheenam and the Thirupanandal Mutt took a holy dip, followed by devotees. 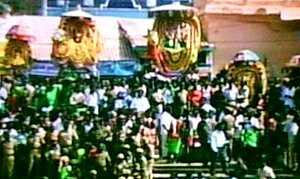 Devotees gathered in lakhs to take a holy dop in the Mahaamaham tank on the 6th. 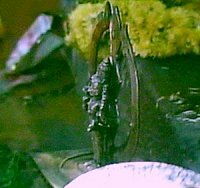 Idols from the 12 Siva temples were brought to the tank for theerthavaari, the sprinkling of the holy waters of the tank. 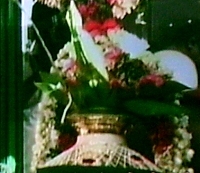 Poojas were performed to the small idols on the steps and the idols were immersed in the water at the auspicious time. 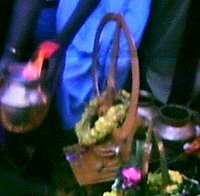 Poojas & theerthavaari were performed for the Vaishnava Gods at the Chakra padithurai, on the banks of the Cauvery river near the Chakrabani Koil, at the same auspicious moment. 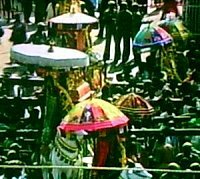 The religious heads of mutts also took a dip followed by devotees. 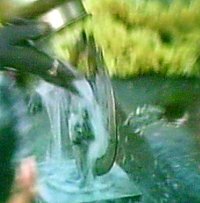 The 10 days from the hoisting of the flag are considered as auspicious days for a holy dip in the tank, though the specific time on the 6th is the most auspicious. 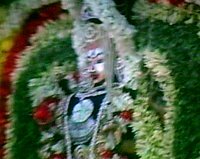 After the dip in the Mahaamaham tank, devotees took a dip in the Potraamarai & Cauvery & worshipped the Lords in the nearby Siva & Vaishnava temples.